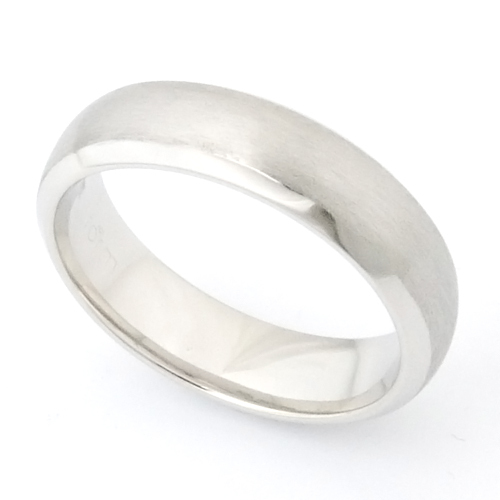 18ct White Gold Brushed Finish Wedding Ring — Form Bespoke Jewellers Ltd.
A classic wedding ring with a brushed finish. The customer chose an 18 carat white gold traditional court profile for their bespoke wedding ring. They then wanted to add a unique design detail to suit their individual style and budget. On their visit to our Yorkshire showroom, our expert jewellers showed them a selection of wedding ring styles. Some with chamfered edges, diamond set options, and different finishes for their wedding ring etc. There are many ways to convert the traditional plain wedding ring into a something a little more unique. 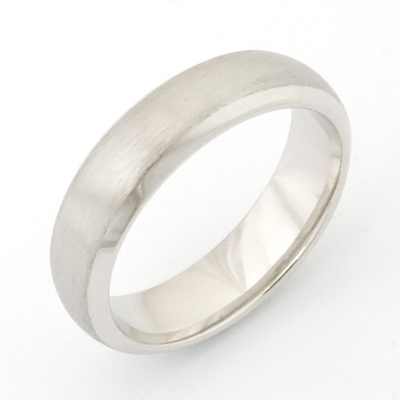 For this wedding ring, the customer decided to have a brushed finish across the top of the band. Then, to contrast, a polished finish on the sides and inside of the wedding ring. The edges of the band were also slightly softened to create a tactile finish. A classic band with a stylised twist. And the customer loves their brushed finish wedding ring.